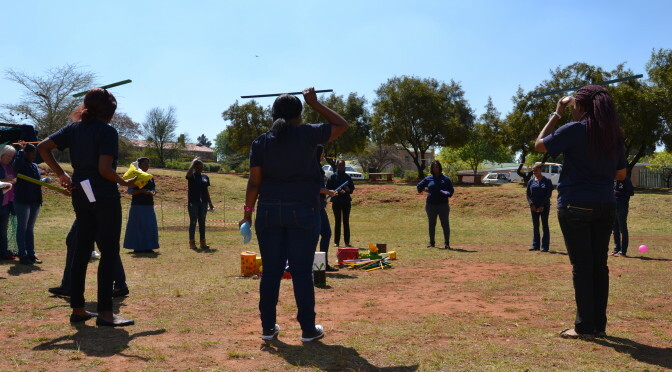 On 20 November 2014, the Sparrow FET College in partnership with Brainwave Careers officially launched the Early Childhood Development (ECD) program for those who want to enter the field of Education, Training and Development, specifically within the sub-field of Early Childhood Development. The aim of the programme is to formally recognise those who are already practicing in this field but do not have any formal recognition. The program further aims to “develop the appropriate skills and knowledge required by a person for the establishment and development of a small to medium business venture, and addresses the economic, administrative and behavioral (psycho-social)barriers that contribute to success in starting and sustaining the venture.” After the success of the first intake, the program has had some notable successes. Being just eight months old there is increasing demand for Boa’s day care in the community. 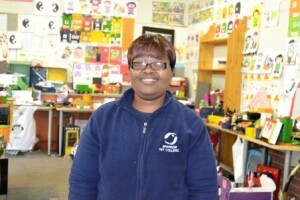 She started the day care in her mother’s house, running it with both her sister and mother. Due to the high demand for her services and her mother’s house getting smaller to house all 25 of the children, construction has already started at the backyard of her mother’s house where she will accommodate more children. We spoke to one parent who sings high praises of the day care. 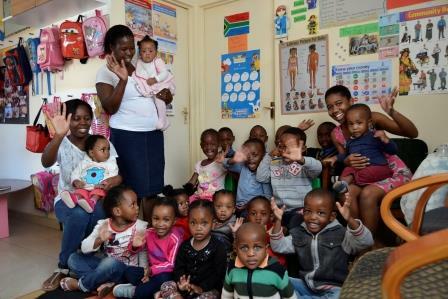 “I can really see the difference between this crèche and the last one that my son attended. I can see it in his behavior when he comes back from crèche, he is happier and can tell me about his experiences from crèche, that never used to happen,” says parent, Carol Phakathi. 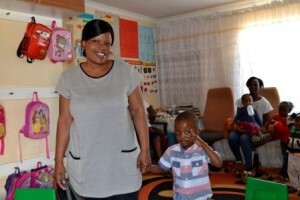 Carol Phakathi with her son, Siyabonga Phakathi. 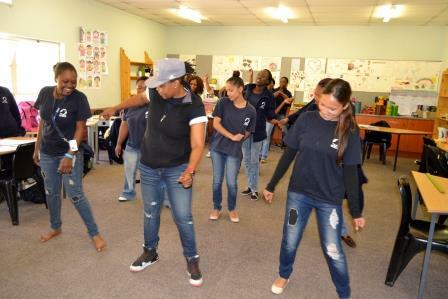 After the success of the first intake of the programme ran by the Sparrow FET College and Brainwaves, the College has recruited a sought after facilitator in Tessa Wolfaardt to facilitate the second intake. Starting off as a primary school teacher, Wolfaardt has over 15 years’ experience in the industry. She penned one of the first ever ECD manuals in the country. After taking a break to go and pursue other ambitions, Woldfaardt got back into the ECD field due to a high demand of her experience by different institutions. Her mission now is to pass on her wealth of experience to those coming after her through the ECD programme at the FET College. 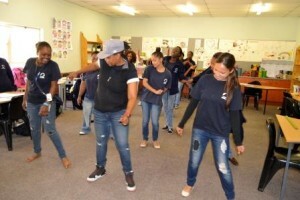 “I want these learners to walk away from this programme having developed in every aspect of their lives. That will lead to them passing that on to the children they will care for. South Africa is lacking behind, early childhood development is extremely beneficial for children in need of proper care,” Wolfaardt explains. Lydia Munyai, 39, is one of the candidates in the current programme. Munyai who is a mother herself, joined the programme after losing her job and sitting at home unemployed for months. 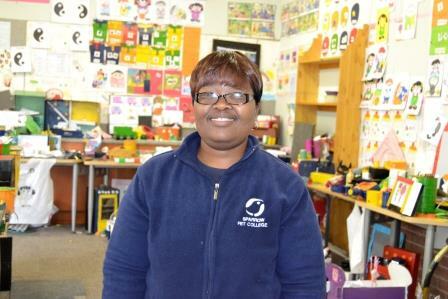 “I joined the programme because i’m planning my own creche. When I first started in the programme I took childcare for granted. I have children of my own and I always thought that raising children was just about the security. Because of this progamme I now know that there is more to it, there’s a lot to consider about a child’s developmental process,” Munyai says.